I’m the first person to stand up and protest when my favorite foods are butchered in the name of diets. When I’m trying to be health-conscious, I opt to have a larger salad and a lean piece of meat. I’d rather have a smaller piece of pie with no ice cream than a large piece of pie whose integrity has been degraded by whole wheat crusts or sugar substitutes. There are certain foods, however, that I think work really well once they’ve been healthed-up. When Dan and I travel to visit people, we try and tailor the food we bring with us to their tastes. I always try and remember who would prefer the banana cream pie and who would rather the pumpkin muffins. When we’re going to be in a mixed crowd, we like to bring a variety of foods that all can enjoy, no matter their taste or health requirements. This week we visited West Virginia (and parts of western Maryland) with Dan’s parents, his sister, her husband, and their daughter. I brought my bourbon white peach pie and an array of bagels. I decided to make our personal favorite, jalapeño. I also decided to make flax seed bagels. Adding flax seed to baked goods does a few things. 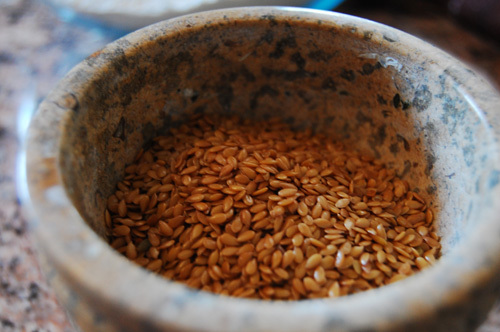 For one, the health benefits of flax seeds are incredible. Flax seeds benefit the heart, fight cancer, and for all the good press they get, they probably fight crime. 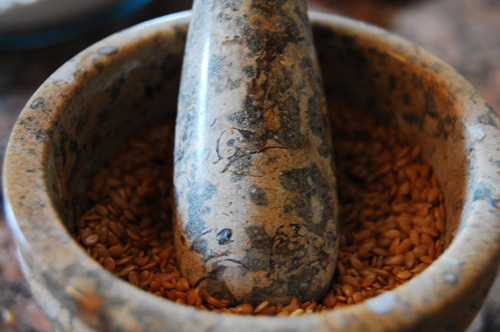 Flax is also a good substitute for shortening, eggs, and other oils. 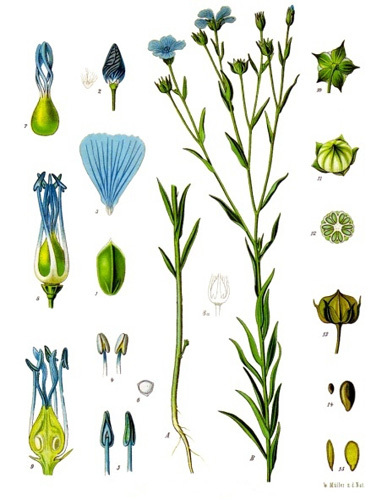 According to some of the research I did, adding flax requires a little extra water, the ratio being 1:3, so for each tablespoon of flax seed you add three tablespoons of water. When you add flax to a baked good, you should lower the baking time and potentially increase the proofing process. Everything I read suggested that the changes will vary depending on what you’re making, and that you really just have to experiment. For the bagels, the one notable difference was that the dough became really sticky, which was a little harder to handle. However, they tasted great and everyone appreciated the heart-healthy breakfast option. 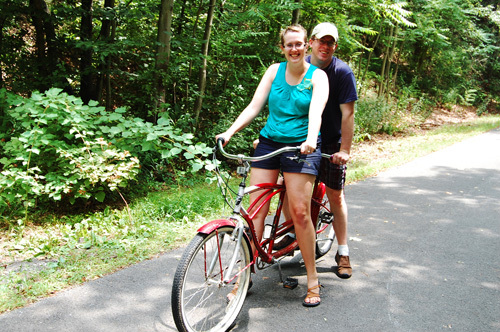 Dan and I tandem biking on the Rails to Bike Trail in Hanover, Maryland.